Interestingly enough, this brief recitation of Shakespeare was not nearly the most poetic moment in Roman Polanski’s portrayal of the life of Polish-Jewish pianist Wladyslaw Szpilman in The Pianist. This film, one that has received much critical acclaim, tells the tale of an artist living through the bottomless chasm of human suffering that was the Holocaust. What Polanski delivers is remarkable. The film is based on Wladyslaw Szpilman’s book Death of a City. It is an auto-biographical account of Szpilman’s experience during WWII. 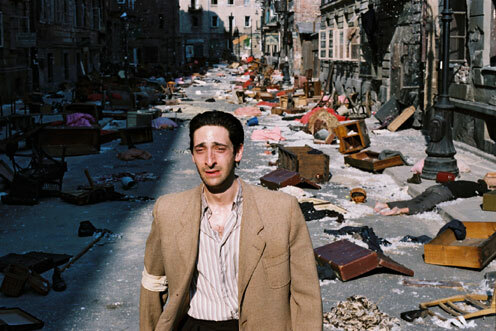 The film is exceptional in that it manages to capture a Nazi occupied Poland, and the nature of the hardships experienced there while also preserving a separate spatial plane for understandings of incongruous things, like family, souls, and music. In times of keen suffering life seems to be reduced to the baser things, such as hunger or shelter. The director and the actors do a wonderful job of communicating this. 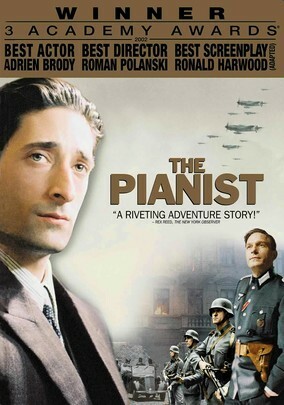 The film begins with Szpilman playing the piano, and it ends similarly. However, all that is between is a cacophony of loss and grief. There is a certain rhythmic quality to the progression of the film, not unlike that of the piece Szpilman performs (Ballade No. 1 in G minor, Chopin) for Nazi Wilm Hosenfeld, who upon discovering Szpilman beseeches him to play. The loss of music was a theme that I think, while subdued, was almost as strong as the calamity surrounding it. There is a scene wherein Szpilman is in hiding, and his lodging has a piano that he cannot play for fear of being discovered. So he sits at the piano and pantomimes playing a glorious song. The passion and warmth is Brody’s jaundiced, bearded, hollow face were magnificent. The dutiful conviction Brody brings to this scene and countless others is in large part what makes this film seem real. His beginnings as a famous pianist were cool and deferential. Those qualities carried throughout the film, unhampered by tragedy and echoes of unrepentant diaspora. Wladyslaw Szpilman: I wish I knew you better. Polanski’s decisive focus on peripheral characters was something of value. There is a scene where a woman is killed during a Jewish uprising. A Nazi shoots her in the back and she falls to the ground, dead and prostrating in front of a hospital. There’s another scene wherein a troupe of Nazis intimidate a small group of Jews, of varying ages, into dancing and singing. In another scene, or rather a string of scenes, a woman is wailing the words ‘why did I do it?’ and we come to find out that she smothered her own child while hiding from Nazis. Another scene shows a woman asking around for her husband; this woman appears several times, each time asking is anyone has seen her husband. It is these scenes that allow us to remain in the first person without losing the impact of the collective trauma. This is done quite gracefully by Polanski. Captain Wilm Hosenfeld: Thank God, not me. He wants us to survive. Well, that’s what we have to believe. The ray of light in this film is awarded to Nazi Wilm Hosenfeld, who ensured Szpilman’s survival by feeding and concealing him. Whose very existence is a defense against cynicism and the inclination human beings have to parse the world into black or white, good or bad. Of all the things Polanski achieved in this film, just choosing to tell the story is the greatest achievement. I haven’t tallied up the numbers, but the Holocaust has got to be the most common piece of subject matter where the art of film is concerned. I think it captivates us so in that it challenges everything we presume to know about life, and humankind. The gravity of shared horror is great enough to award the Holocaust a permanent spot in the archive of humanity. 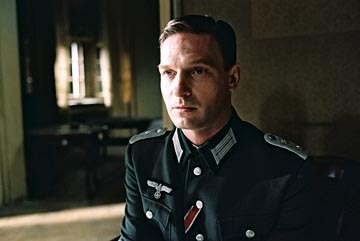 Polanski’s masterful representation of Wladyslaw Szpilman’s story was one worth watching, and one that will touch you. I’ve heard lots of good things about this movie but was put off because a very irritating person I know was raving about it. You have revived my eagerness to finally see it! That has definitely happened to me before. When you see it, let me know what you think! What can I say about a movie of this calibre? Trully brilliant and tragic! One thing I always found fascinating about this film; is the portrayal of the horrors of WW2 from a director who experienced them first hand. For example when you talk about this scene where a Nazi shot a woman in the back and etc. That directly mirrors something Roman himself witnessed during his time in the Krakow Ghetto as a child.